China's official readout on Jacinda Ardern's first visit to Beijing as prime minister took a while to hit the internet. But it is instructive that when Chinese Premier Li Keqiang's official comments were posted on the State Council website at 4.09 pm (China time) on Monday that they read upfront that "both countries should offer an equal, unbiased, transparent and convenient business environment for investment". China's leadership is nursing a sore point that New Zealand has (so far) rejected a bid by the Chinese telco giant Huawei to be part of Spark's plans for a 5G mobile network. Ardern told travelling journalists she put the Huawei issue upfront in her own meetings with China's leadership — she did not wait for China's leaders to raise it. 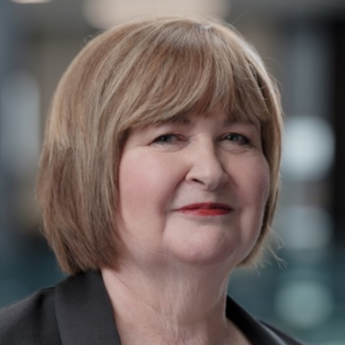 Her explanations rested on NZ legislation which effectively outsources such decisions to the Government Security Communications Bureau, not the politicians. But she left open a door for modifications to the Spark/Huawei proposal, saying New Zealand has not made a final decision. The Chinese Government is equally aware the GCSB's decision-making comes with a caveat in that an appeal can be raised with its Minister Andrew Little. Ardern's political and diplomatic fig leaf does not shroud this reality. The bilateral ties have been tense since the GCSB threw the Huawei spanner into the works. Both Li and Chinese president Xi Jinping were respectful in their comments but there was no mistaking the messaging. China Daily and the Global Times — two key "official" newspapers — both mentioned Huawei. The Global Times talked on how Ardern's visit came after a souring of the bilateral relationship caused by issues such as New Zealand's criticism of China's influence and the rejected Huawei bid. China Daily went further by admonishing in an editorial that despite the many "firsts" in the relationship, there have been less desirable undercurrents too. "These have largely stemmed from Wellington's seeming enthusiasm to jump on the US bandwagon to contain the growth of Chinese science in the technology companies," the editorial said. It noted Ardern's comments that New Zealand makes its decisions independently of the Five Eyes nations which it describes as an "Anglosphere electronic eavesdropping alliance" comprising Australia, Canada, the UK, the US and New Zealand. The upshot of the meetings is New Zealand is still on notice from China that it expects the Ardern Government to arbitrate carefully between the interests of the US and China. Ironically, while these talks were taking place, news articles trumpeted Huawei's demonstration of 5G mobile video as a "first" and another world "first" — a subway line section equipped with 5G networks which is due to be trialled. On CGTN's Dialogue programme, commentators focused on Foreign Minister Winston Peters' visit to Washington where he called on the US to boost aid to the Pacific region alluding, it appeared, to increasing influence from China. Xi confronted this — again indirectly — by saying China was willing to work with New Zealand to jointly promote the sustainable development of the Pacific Islands countries. The Belt and Road Initiative was also on the agenda. Xi welcomed NZ to take part in the BRI. Li went further, saying China is willing to align the Belt and Road Initiative with New Zealand's development strategy in order to push forward bilateral economic co-operation. But importantly, Li underlined the two nations have been working to find the "greatest common denominator" in the interests of both sides. There is clearly a lot of opportunity ahead for China and New Zealand. But navigating the choppy waters carefully will remain a challenge. - Fran O'Sullivan travelled to China courtesy of Air New Zealand.